Here’s another completed insert set – this is from 2000 Topps. Like most of these posts, I completed this set in December last year, when I got my Black Friday purchase from COMC. Set description: This is one of Topps many submissions from that time period that had some type of super-shiny silver foil in the background. This particular one had a star design. The set name is in red and blue at the top, with the player’s name at the bottom. The back is blue with bronze effects and statistics of the player’s career All-Star record. Obviously it features guys who tend to frequently make the Summer Classic. 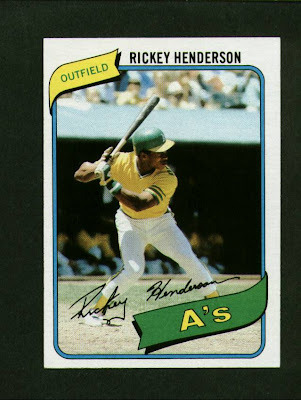 Thoughts on the set: As I alluded to above, Topps did too much silver shiny back in this time frame. Makes it hard for this set to stand out. 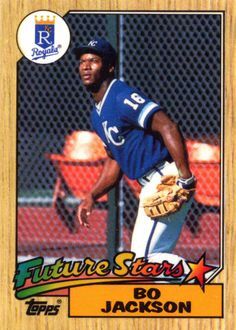 When I see it, I don’t think “That’s that 2000 Topps set, Perennial All-Stars”. I have no clue what year it came out and wouldn’t know the set name if it wasn’t in block letters on the front. On the positive – the back having career All-Star stats is different and kind of cool. 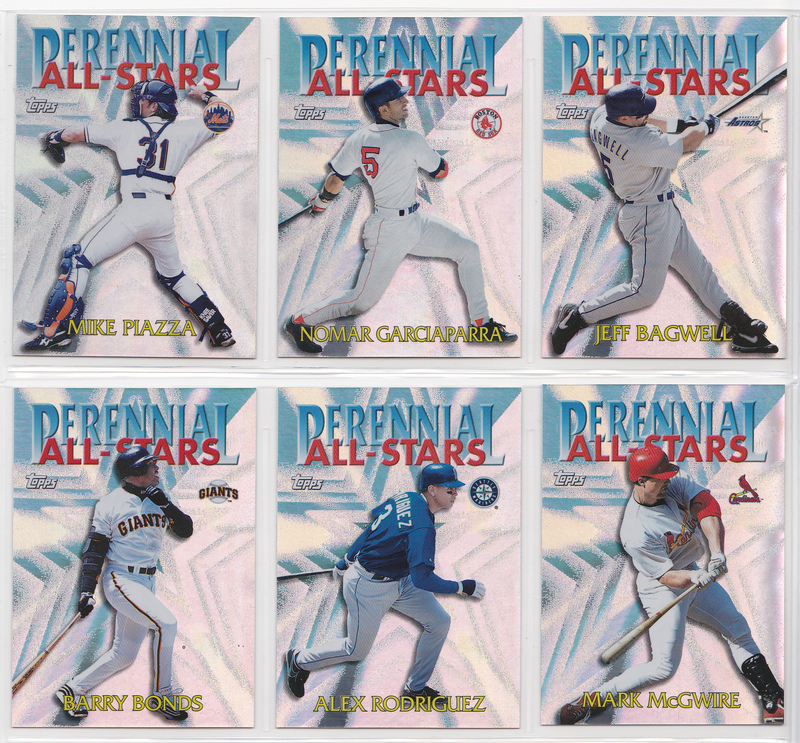 Also, with a set called Perennial All-Stars, it is really good player selection (though there are no pitchers). As I mentioned, I got it from COMC last Black Friday 2015. I somehow accidentally bought 2 of them! 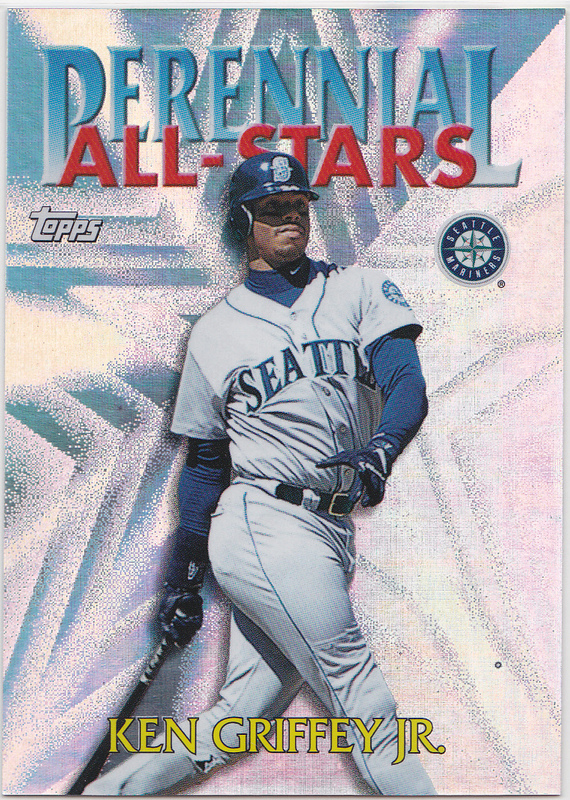 Best card (my opinion): #PA1 – Ken Griffey Jr. Sometimes I intentionally try to avoid being a homer and probably end up not picking my favorite player just to not pick my favorite player. Not here. My Favorite Reds card: There are none. 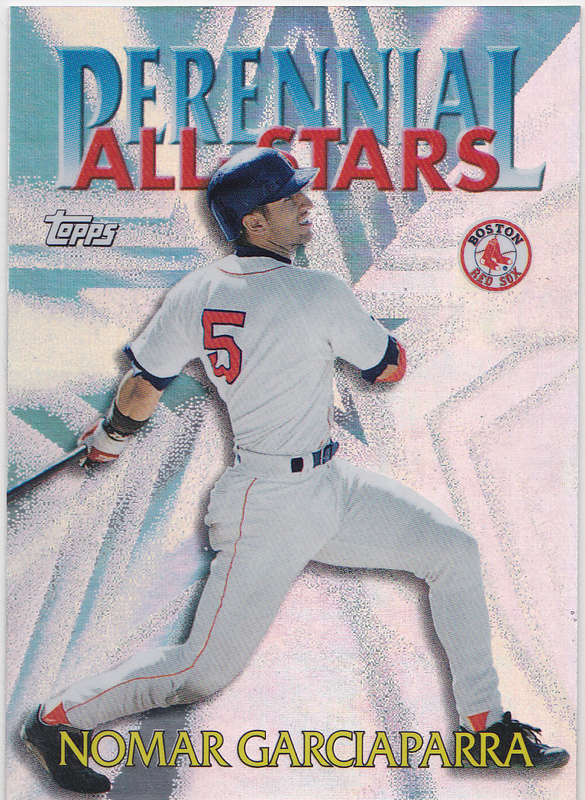 Other tidbits: The card backs lists total All-Star games trough the 1999 season on the back. At the time of release, this group had a total of 68 appearances combined – 17 for Cal Ripken!